Hello fellow foodies, this week I have a couple of cool, food related articles for you, a feature I hope to be doing on a semi-regular basis. Food politics, environmental and agricultural issues, etc are really expansive, interesting fields right now, and it seems like every day there is more and more information put out there about various food issues. As someone who is really interested in these sorts of subjects, I do plenty of perusing various Internet sites and reading about such things while I am supposed to be doing homework. I consider it a somewhat better use of time, as it’s a way to educate myself on very prevalent, pressing issues, and maybe even become a better citizen of the world. So hey, take a break from homework or whatever obligations you have and take a minute to read and think critically about these articles. 1. The first thing I’ve got for you is a really fascinating debate that is going on involving problems of eating locally, vegetarians and veganism, and food disparity between countries. 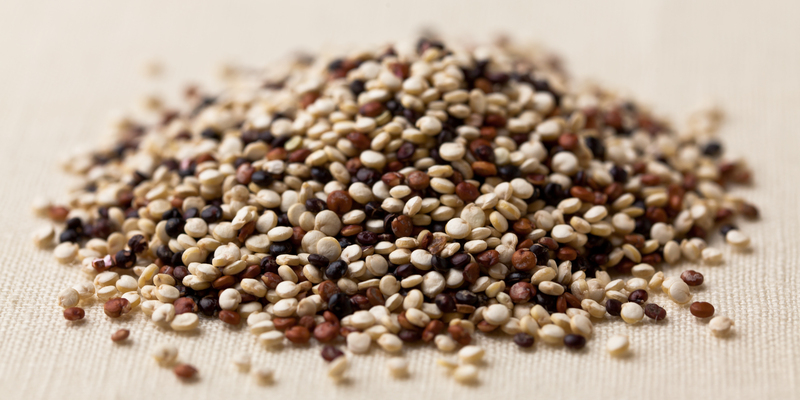 As food issues often do, this controversy revolves around a seemingly innocent and inconsequential food – quinoa. First, check out the original article, a piece done about the price paid for quinoa in the countries that produce it. To follow up, here is a PETA fueled response that argues back that ultimately eating meat does more damage than vegan products such as quinoa do. 2. Next, here’s an issue that hits a little closer to home – the new soda ban happening right here in our own city. To be honest, I hadn’t given this much thought, seeing as I am not really a soda drinker. But, this article got me thinking about some of the broader effects that the ban might have. What do you think is more important here? Do you think the ban will even do anything to help obesity in the first place, because that’s another vital question all in itself? When it comes down to it, if I thought the ban was going to be really effective, I would say health is more important, and that the businesses will have to adapt. However, how effective is a ban going to be if someone can still get a huge slurpee at 7/11? And I think it’s a fair point made at the end, that education, encouragement, and community programs are often more effective than forcing the public’s hand. The Community Agriculture Club is an All-Square Club at NYU focused on learning the theory and practice of urban agriculture. We grow seasonal fruits and vegetables in cold-frames in Washington Square Village and host other agriculture related events, including talks, sustainable cooking parties, community service days, film screenings and more!